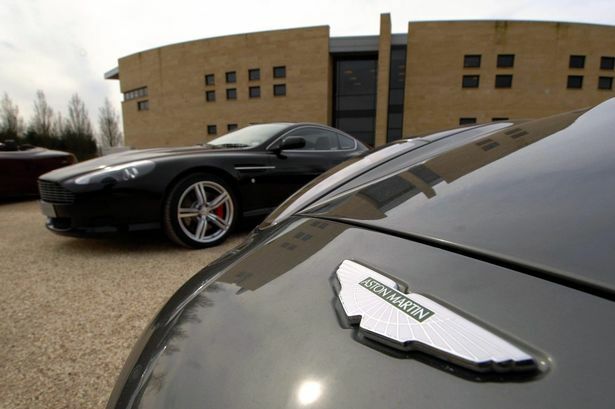 Luxury car-maker Aston Martin looks set to shed jobs as part of a restructure being implemented by its chief executive Andy Palmer. The Gaydon-based firm is believed to be planning to axe a small proportion of its workforce of 2,100 as part of a root and branch departmental review. The firm has remained tight-lipped on numbers but it is thought the staff affected will undergo a consultation process before the end of 2015. The latest development comes amid expansion plans, with the firm thought to be close to announcing the location for a new plant to produce its DBX crossover vehicle. That decision is likely to be just weeks away with Coventry being one of the cities potentially in the running, along with Cardiff and Birmingham in Alabama, in the US. Earlier in the year there was speculation Aston Martin might be interested in building a Midland plant in Longbridge but that option is now thought to have been shelved. In April, Aston Martin secured £200 million in funding to develop new models, including the DBX, the investment coming in the form of £200 million of preference shares. Mr Palmer has been at the helm at Aston Martin for around a year. In March he outlined a three-pronged strategy in a bid to quadruple production at the Warwickshire-based sports car-maker. He said growth would come from a crossover vehicle, wider availability of its Lagonda Taraf luxury saloon and a new generation of sports cars. Last year Aston Martin sold 4,000 cars, almost half of its record-breaking total of 7,300 in 2007, but plans to increase that to 16,000. The DBX is seen as a key part of Aston Martin’s growth plans, given the soaring demand for SUVs globally - particularly at the luxury end of the market. Bentley recently unveiled its first luxury SUV, the Bentayga, and Rolls Royce also has a model in the pipeline. Although the DBX crossover was unveiled as a concept vehicle at this year’s Geneva Motor Show, Mr Palmer made it clear the firm plans to put it into production and hopes to sell around 5,000 each year.